Today is Pongal, the harvest festival celebrated in India, similar to Thanksgiving in US. It's an important festival for farmers, so it's celebrated grandly and more traditionally in the villages. This dish Sakkarai Pongal, which goes by the name of the festival itself, is a rice pudding made with the newly harvested rice ( for people who have their own paddy fields, for others, we do it with the raw rice we have at home). 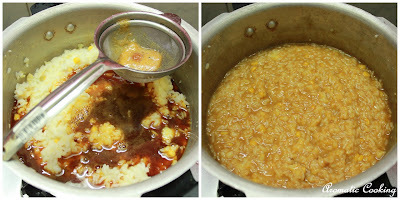 Rice is cooked with moong dal, milk and jaggery and flavored with cardamom and ghee, a very tasty and rich sweet or dessert..
Pressure cook the rice along with the moong and chana dal and 2 cups of water, add the 1/2 cup milk to the cooked rice and mix. 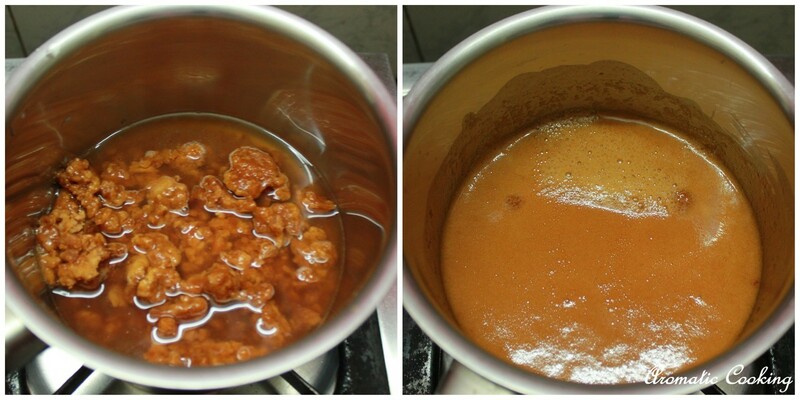 Heat the jaggery with 1/2 cup of water, till the jaggery dissolves. 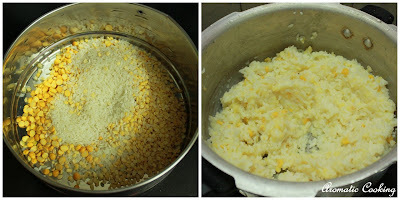 Strain and add this to the cooked rice and dal mixture and put it back on the stove. Keep stirring till it comes to a porridge consistency. Add the cardamom powder and 8 teaspoons of ghee ( add 2 teaspoons at a time and mix). Heat the remaining 2 teaspoons of ghee in a skillet, add the raisins and cashew pieces, roast till golden and add to the rice. Mix and serve it warm. The rice and dal can be cooked entirely in a regular pot and we can use entirely milk or half milk and half water to do it. 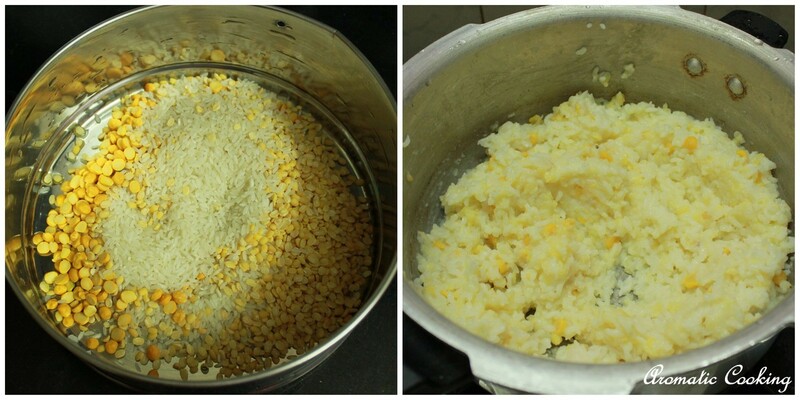 Also you can reduce the amount of ghee or increase it even more for a much more richer pongal. You can either remove the seeds from inside the cardamom and pound it, or powder some cardamoms with a little sugar and add add about 1/2 teaspoon of it. Edible Camphor, another flavoring agent is also added, I left it out. Pongal vazhthukkal Hema! Delicious pongal! 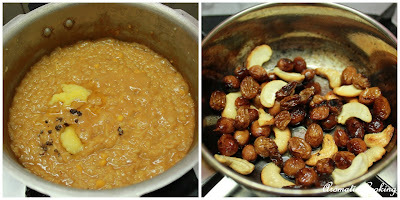 Happy pongal, sakkarai pongal has got nice color and looks yum!!! Happy Pongal Wishes Hema! 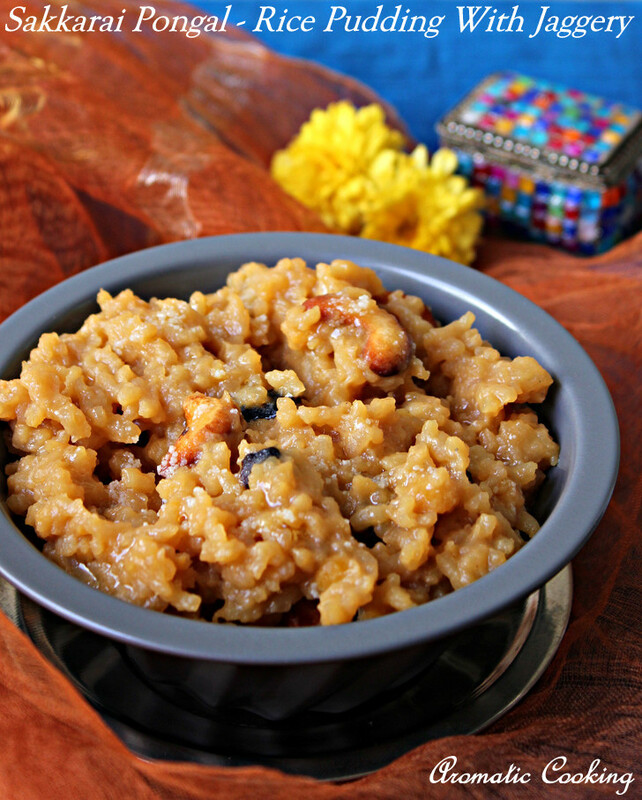 my fav pongal, looks too delicious n tempting! wish u a very happy pongal hema :) and sakkarai pongal looks just perfect! Wish you a Very Happy Pongal Hema! 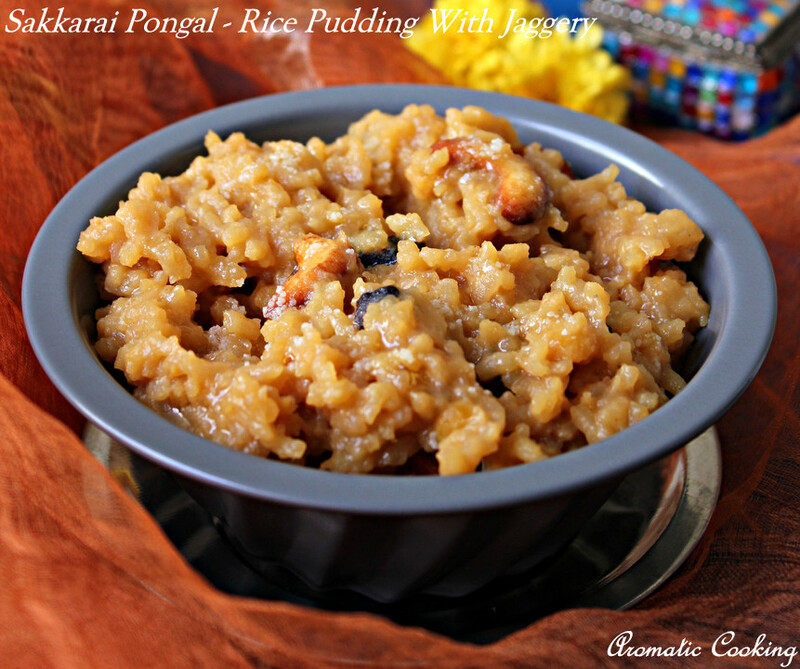 Drooling here over your perfectly done pongal..Happy Pongal Hema,once again. belated wishes dear.. delicious pongal..
looks delicious n inviting....happy pongal!!! Belated Pongal greetings. Love the texture of the pongal. Inviting clicks. Belated Pongal wishes, sakkarai pongal is always my weakness..Lovely bowl.